Plaster relief. 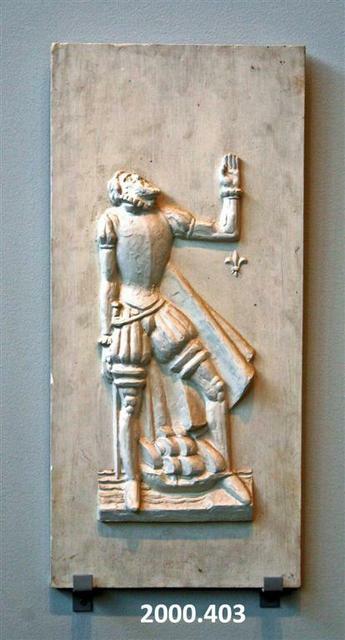 Standing one foot on land and the other in water, the French Explorer, stands with left hand to the sky. He has a ship between his legs. 28" x 13" x 2"
Fredericks, Marshall M., 1908-1998, “French Explorer, Relief, [Plaster],” Marshall M. Fredericks Sculpture Museum, accessed April 21, 2019, http://omeka.svsu.edu/items/show/6542.